Thanks to Gainesville, Georgia lawn services, you can finally succeed in having the lawn and garden of your dreams. It all starts with a solid foundation that includes selection of the best grasses, plants, trees, and shrubs. Follow up with ongoing lawn care maintenance and services to control those pests and diseases that try to jeopardize your happy lawn. The biggest reason why lawns in Gainesville fall flat is that the local conditions and seasons aren’t taken into consideration. When you are establishing a new lawn in this northeastern area of Georgia, you have to look beyond the seeding schedule. Think of ways to make your grass greener throughout the seasons, while combating pests, diseases and weeds. Should you include core aeration to fight soil compaction? Do you have issues with mosquito infestations, a major problem for most homeowners in Gainesville, Georgia? If you don’t know the answers to these questions, we can help. At Think Green Lawn Service we offer an extensive array of lawn services. Every season in northeast Georgia brings its own lawn care issues. You want to fertilize in the fall so you don’t burn up your grass, but if you use the wrong type of fertilizer, you’ll do more harm than good. Interested in planting new shrubbery around your landscape? What if you choose a plant species that is overly aggressive, such as ivy or, heaven forbid, kudzu? 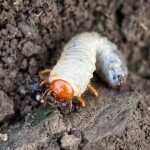 If you have pets, you want to consider flea and tick control for your lawn. Thankfully all of these Gainesville, Georgia lawn services and many more are available at Think Green Lawn Service. Through a comprehensive lawn care plan, we can help you prevent problems and solve issues throughout each season. 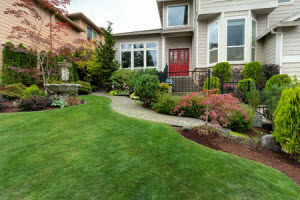 Your lawn and landscaping will become effortless with the help of our lawn care experts. As leaders in Gainesville, Georgia lawn services, we have seen it all when it comes to maintaining and protecting a lawn. This gives us the great advantage of first-hand knowledge for all of your lawn care questions. 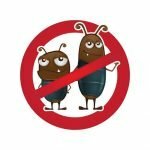 Whether you are concerned with soil testing and aeration in preparation for fescue fall seeding, or you have unidentified pests that are killing your grass, we can help. If you want to have the best looking lawn in Gainesville, Georgia, start with Think Green Lawn Service. We have the expertise you need to bring your lawn back to life. Contact us at (678) 648-2556 for more information on Gainesville, Georgia lawn services. Thanks for giving Think Green Lawn Services in northeast Georgia the opportunity to be your lawn care provider.